2017 has been a busy year in the IT department. We began the year with a new set of thirty computers to update Room 5. This complimented the new data screen, projector and new desks to create an efficient and modern teaching area. Due to timetabling considerations, the Information Technology curriculum delivery in 2017 was shared between Miss Hickman and me with our joint focus on the new Digital Curriculum which is mandated for introduction in 2018. 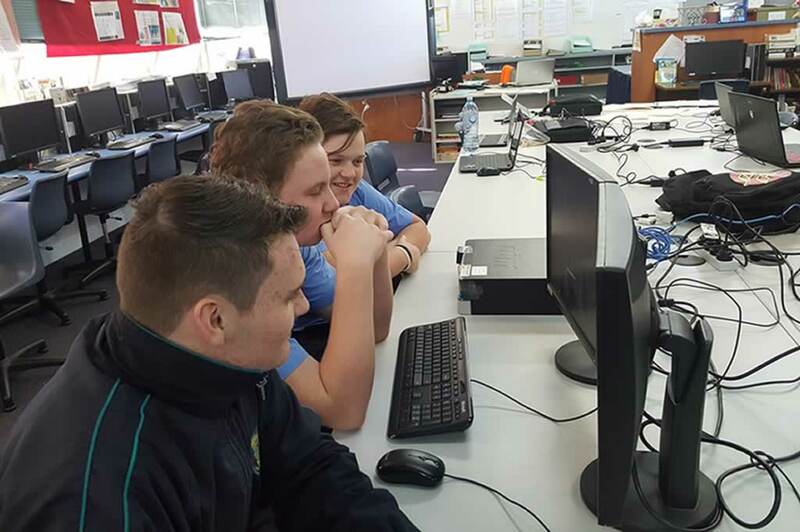 The students, across all year groups have been completing activities about programming, algorithms, hardware and software, eSafety, Photoshop, using Powtoon, advanced Word and Powerpoint, computational thinking, data representation, information systems and databases. The Certificate III in Digital Media, Information and Technology was introduced for the first time in 2017. This is a challenging course and the students have been working to a tight schedule to complete this year’s units. To ensure they complete the required number of practical work hours students have been responsible for the general maintenance of small groups of computers in the labs, keeping them updated and repairing and solving issues when required. They also had the chance to build a ‘super computer’ using several older and discarded machines with impressive results! Exciting plans are underway for next year as we are hoping to introduce 3D printing and design as part of the Information Technology courses. We are aiming to extend and develop the knowledge and skills the students are developing in the primary programs by introducing more challenging projects and larger more complex printing options.